Den Gamle Fabrik brings you the taste of Danish summer with their new range, ‘Ypperste’. Three new extraordinary jams packed in our design. The Danish name, ‘Ypperste’ translates into ‘finest’ or ‘supreme’ and communicates the fact that the berries used in this new range are not just ordinary berries. No, they are specially selected varieties that thrive in the Danish soil and gentle summer. 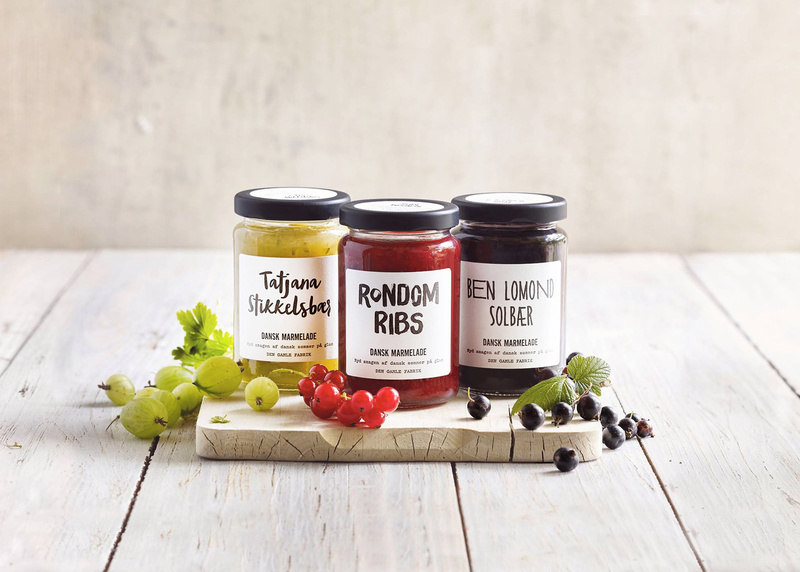 Den Gamle Fabrik has handpicked the traditional Ben Lomond blackcurrant, the popular Tatjana gooseberry, and the Rondom red currant to ensure supreme taste. We created a simple and honest design that highlights the unique flavour and personality of each berry variety. The result is three unique expressions, yet visually linked to each other.